Growing up in the late 90’s and early 2000’s I remember a lot of the trouble makers at my High School throw “stink bombs” in the hallways and leave behind the most awful and rotten smell. That awful odor was sulfur mixed with other unforgivable brews that would last for hours. Can I take a Sulfur supplement? Although I haven’t yet thought about adding Sulfur as a supplement because I prefer to get it from my diet, I have been curious about adding sulfur as a supplement to my diet considering the added health boost. Besides, most of today’s soil where our food grows contains very little to no sulfur in the land they us to raise crops, so a supplement may be a good idea if you’re not getting it from your diet properly. Here are two known types of sulfur supplements which are typically found in powder form. As with most supplements, you want to be extra cautious and do your research before settling for a sulfur supplement as most are overly processed and do not contain the levels of sulfur needed to effectively use it in the body. (MSM) methylsulfonylmethane: Used for humans to treat pain, inflammation, and issues associated with Arthritis. In addition to powder, you can also find Sulfur in crystal form which according to my research contains a higher content of sulfur as opposed to the powder. Crystallized Sulfur is easily accessible and can be used in a variety of ways such as tea, water, etc. Make sure that the Sulfur crystals are organic; it’s from a reputable vendor and not processed with other chemicals or preservatives. 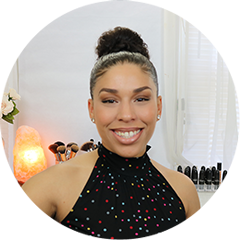 Now that we have an idea of what Sulfur is and how great it can be for health, lets’ look into how Sulfur has benefited my skin. Sulfur is ideal for those who have acne and sensitive skin due to its anti-inflammatory and anti-bacterial properties. It helps calm and relieve irritation and redness associated with acne and other irritating skin conditions. Sulfur as an active ingredient in your skincare products helps keep the skin clear of acne causing bacteria due to its anti-bacterial properties. How do you incorporate Sulfur in your skincare routine? 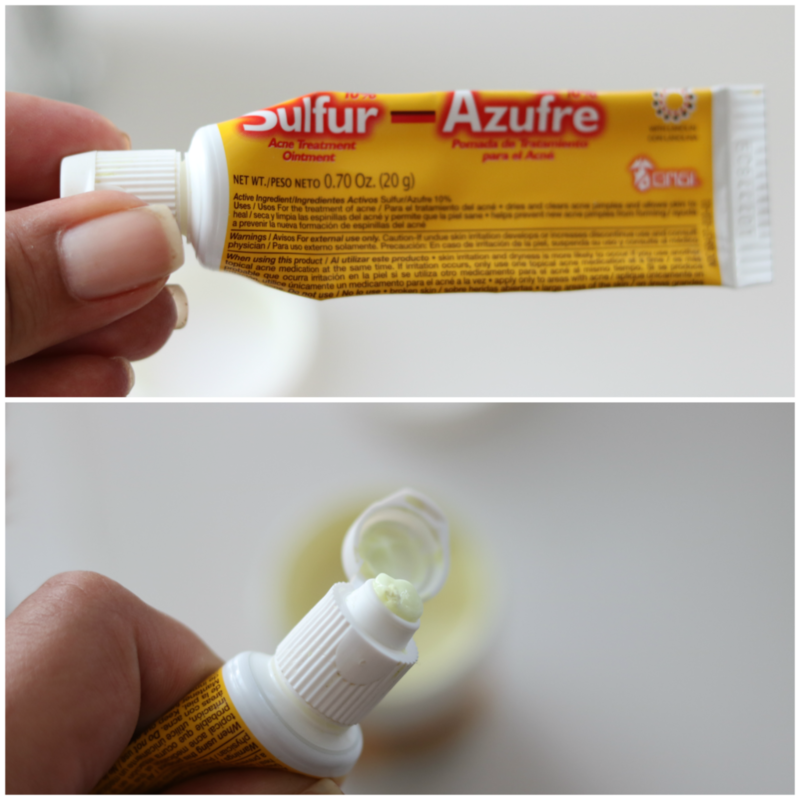 I first came across Sulfur when I had a very nasty pimple on the side of my cheek and needed a on the spot treatment. I normally use Mario Badescu’s drying lotion, but did not have any so I settled for this sulfur ointment at my local drugstore. I purchased the tube first and found that within 2-3 days my pimple was virtually gone. Day 1, the ointment minimized the inflammation, by day 2 the pimple was dried out and by day 3 the pimple was completely flat and dried out with minimal scarring, which disappeared by day 4-5. 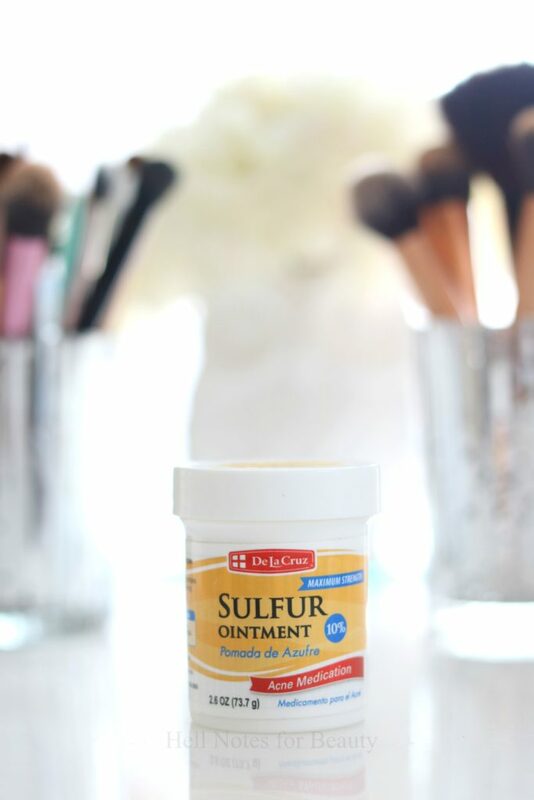 How have you been using sulfur for your skin? 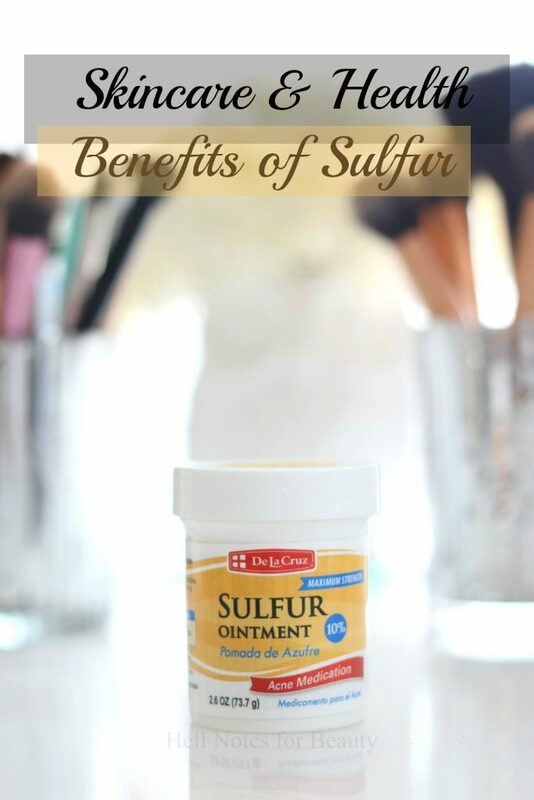 I’ve been really impressed with Sulfur and its many benefits for beauty and health. I only have incorporated Sulfur as an on the spot acne treatment, but definitely will be looking into other masks and sulfur based treatments to add to my skin care routine. The only Sulfur based product I’m using now is the De La Cruz Sulfur ointment which can be found at most drugstores and reasonably priced at $5.99. Sulfur can also be used as a scalp treatment to treat dandruff and promote hair growth. The tube works well for acne pimples and the consistency is light. 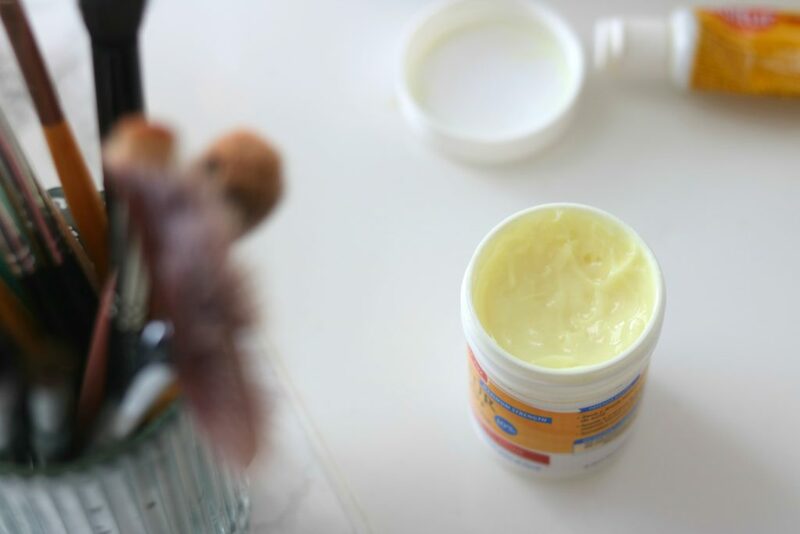 The one I purchased in the jar feels a lot more moisturizing and the consistency is a lot thicker, which in addition to using it as a on the spot treatment, I add it to any area where I may have redness or irritation. Which sulfur products are on your wish list? What precautions should you take when using Sulfur for the skin/health? Beauty: I personally have not had any side effects with using Sulfur. If anything, I’ve noticed it dry out the area where I applied it which is the effect I was looking for, to dry out the pimple. Depending on your skin type and the potency of the sulfur you’re using, you may experience some burning, stinging, tingling, itching, redness, dryness, peeling, or irritation. So be careful with how often you use and discontinue use if you notice any reaction. Health: Sulfur (MSM) is known to be a relatively safe supplement to consume however, not everyone may react the same so there are some precautions to take as with any supplement. Pregnant and breast feeding women should take extra precautions and avoid sulfur throughout their pregnancy. To conclude, I enjoyed researching about Sulfur because I never in a million years thought Sulfur had so many benefits. I always believed it was a toxic substance only used for industrial purposes and never realized until using this product and researching about it that I realized the importance of familiarizing ourselves with different types of ingredients. So do your research too and see what you stumble upon in terms on using sulfur for health and beauty. *Disclaimer: Please note that this post is for informational purposes only describing my personal experience and research only. Please do not take this as medical or psychiatric diagnosis or recommendations. Please see you medical physician before making any changes to your health regimen.